Ack! When you said you were going to that cabin in the woods to “find your inner strength” we thought you meant, like, meditation and some fly fishing or something. This is a side of you we have never seen. Nor imagined! Oh! 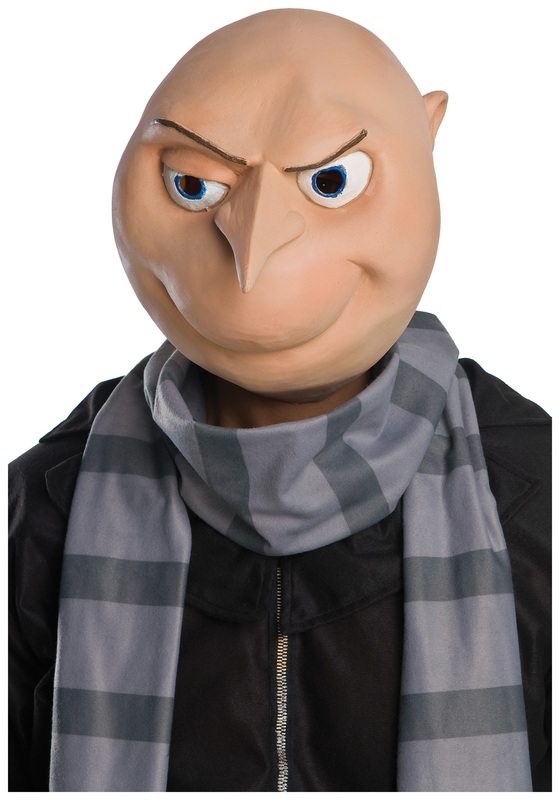 You’re just wearing this officially licensed Adult Despicable Me Gru Mask! Phew, we were worried for a moment there. So, you went into the woods and got a little up close and personal with your inner bad guy, eh? Well, we think that’s great, and that Gru may be the perfect persona for you to channel! You won't have to play second fiddle to Vector anymore. All it takes now is a loan from the Bank of Evil to get your crazed scheme of stealing the Moon off the ground. Don't ask us how to get approved for one of those, though. Maybe you could go back to that cabin and send some good energy our way.